Match reports from the 2018 season. Staffs 46 all out (24 overs) (MacDonald 5-2) lost to Tykes 49 for 5 (16.4 overs) (Spurr 12*) by 5 wickets. The young Tykes bounced back from defeat to the other Yorkshire under 10s side Phoenix by beating Staffordshire Under 10s in a low scoring affair. Staffs were asked to bat on a wet green wicket and found scoring very difficult against the classy opening bowling attack of Bradley and Askey, but it was the introduction of Sewerby off-spinner, Will MacDonald, who did most of the damage. In his 3 overs, he claimed the figures of 5 wickets for 2 runs as he spin a web of wizardry to have the visitors reeling, getting the last four Staffs wickets for no runs and leaving them on a well below par 46. In reply, the Tykes also found scoring hard work but a typically dogged innings by Darfield’s Alfie Spurr with 12 not out from 63 balls helped the hosts get over the line, winning by 5 wickets. The second of the ‘The Clash of the White Rose’ at under 10s didn’t disappoint any onlookers with a game of high quality batting from both sides. Winning the toss and electing to bat, the Tykes got off to a good start from openers Wainwright(32) and Spurr (63*) who profited from the short boundaries square of the wicket. When Wainwright was bowled by Altaf, Spurr was joined by Longley (17) and these two found scoring a little harder to come by but the innings was given real impetus when MacDonald came to the crease, scoring a quick fire 28 from 21 balls. At tea, a score of 164 looked a tall order for the Phoenix side especially when opener Birks was removed early in the reply. Nevertheless, Aaron Ratnalingam had other ideas when he set about the bowling of the Tykes. An innings of high quality for one so young, Aaron scored an unbeaten 81 from 113 balls and he was worthy all the superlatives. Ably assisted by Breheney (14) and Greenfield (35), the Phoenix won by 6 wickets and chased down the total with 17 balls to spare. A great game and super advertisement for under 10s cricket. Tykes next game saw them travelling down to near Nuneaton to play the Warwickshire under 10 Bears. Winning the toss, the Tykes elected to bat on a shortened 17 yard wicket and found scoring very easy to come by. Wainwright (22) and Spurr (41) once again got the innings off to bright start before Will MacDonald played superbly scoring 71 from just 53 balls and he was a little disappointed not to go on and score more. Chaplin (25) and Bradley (24*) also batted nicely to give the Tykes the imposing total of 216 for 6 from their 40 overs. Warks never got going in the second innings with the hosts not being able to handle quick left arm opening bowler, Tom Bradley, over the shortened distance. With figures of 4/14, Bradley quickly had the Warks top order batsman in trouble and three run outs in the middle order led to their innings being in disarray and they never recovered, being bowled out for 50 in just 16.3 overs. Another good all round performance from a team that are developing nicely. August saw the introduction of T20s for the under 10s and finally the Tykes inflicted the first defeat to Phoenix. Batting first, the Tykes batted very well to score 129 for 2 in their allotted overs, with special mention to Max Chaplin 36 from 36 and Tom Bradley (30 from 27) who both remained unbeaten. Despite the early wicket of Birks, Phoenix were coasting in their reply at one stage but the wicket of Aaron Ratnalingham for 36 from 39 balls from leg-spinner Louie Wilson saw the Tykes come back strong. Indeed, Wilson’s figures of 2 for 8 runs from his four overs saw the Phoenix fall 22 runs short in spite of a good knock from George Breheney (35*). In the third game of the day, Lancs openers got off to a flyer against the Tykes with a 54 run partnership for the first wicket but the side was pegged back upon the introduction of spin. MacDonald, not for the first time this season, bowled superbly claiming figures of 4 for 6 in his four overs and Lancs managed to scrabble to a below par score of 97 for 8 in their 20 overs, thanks in main to an unbeaten right wicket stand of 21. Lancashire took notice of a spinning wicket and unleashed a barge of spinners upon the Tykes reply. Indeed, only two overs of seam were bowled and the Tykes simply didn’t have an answer only mustering 75 in return with only one batsman reaching double figures. Having already beaten the Tykes and the Phoenix twice, Lancashire must have been confident of a clean sweep when the Tykes travelled to Liverpool to play Lancs in a 40 over game. The Tykes won the toss and elected to bat on a tricky batting deck. Two early early wickets set the Tykes back, but Spurr’s stoic 47 from 110 balls helped the visitors to post a decent total of 161 for the loss of 5 wickets. Spurr was assisted by Chaplin (34) and Bradley (35), and a quick fire 12 from Jamie Artley. Tom Bradley once again produced a great opening spell and proved difficult for the Lancs batters, returning with figures of 5 for 14 in his 7 overs. 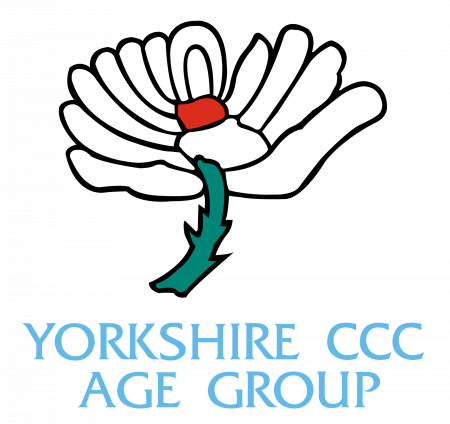 Lancs managed to get to 116 for 9 and it proved to be a great result for the Tykes side. In the first game of the day, Notts decided to bat first against the Tykes on a cold wet morning at the picturesque venue of Attenborough. Notts lost their opener early but ticked along quite nicely until, once again, the introduction of spin slowed their progress. In this format at such a young age, spin proved to be troublesome for the batters with hitting areas limited due to a lack of strength. Studley Royal’s Louie Wilson was at his best with great figures of 4 for 14 in his 4 overs and Notts struggled to 86 for 9 in their 20 overs. Notts opening bowler JJ Clangotra (3-13) bowled extremely well in reply and as the Tykes struggled with all the top four batters not making double figures, but Spurr (16*) and MacDonald rebuilt and saw the Tykes home with 10 balls to spare. MacDonald’s innings of 41 from 36 balls being the real highlight of the game. With the start of the day delayed by overnight rain, the game between the Tykes and Phoenix was reduced to a 15 over game, and once again Phoenix played the better cricket in this game. Batting first, Phoenix got off to a good start with Birks (20) and Ratnalingham (22) highlighted with an excellent understanding when running between the wickets. Greenfield with an unbeaten 18 from 20 balls gave the Phoenix a decent total of 90 for 3 in 15 overs. Mack Hall was the pick of the Tykes bowlers with 2 for 17 was the pick of the Tykes bowlers. MacDonald (20), in reply, scored well but upon his dismissal, the Tykes faltered and could only reach 76 for 9. Off-spinner Altaf (3-13) and George Leach (2-16) were the main wicket takers for the Phoenix. In a day which saw both Warks sides head north to Yorkshire, Tykes played the Bears in their first game of the day at Darton CC. Batting first, Warks mustered 80 for 9 in their 20 overs with Wyatt top scorer with a creditable 30. This time the pick of the bowlers in this format was seam, with Harry Askey and Josh Tynan recording identical figures of 3 for 10 in their 3 overs. In reply, despite wickets tumbling at the other end, Jack Wilkinson saw the side home with a great knock of 34 not out with 7 balls to spare. In the Tykes second game of the day, they played the Warks Cubs at Barnsley Woolley and this was far less of a contest than the first game. Batting first, Tykes posted a decent total of 125 for 5 with the dependable Alfie Spurr top scoring with 38 from 49 balls. In reply, the Cubs ever really got going with none of the batters reaching double figures. Harry Askey capped off a fine day with figures of 3 for 16. Mack Hall produced his best bowling performance thus far with figures of 3 for 10 and off-Spinner Daniel Longley returned figures of 2 for 1 as the Cubs were bowed out for 57. The last game of the season saw the Tykes take on the Phoenix hoping to gain some vengeance for their two losses earlier in the season. However, the Phoenix has no intentions of letting their superiority slip and so it proved that during these internal matches, the Tykes didn’t show their full potential. Electing to bat first, the Tykes got off to a decent start with openers Spurr (13) and Longley (19) but once Longley departed, the Tykes batting order failed to deliver and were bowled out for a paltry 75. Peter Greenfield produced his best for the last game with figures of 4-4-0-3 and he was backed up with Charlie Westerby (2-3) and Altaf (2-9) as the Tykes succumbed. In reply, the Tykes bowlers threatened by taking two early wickets and with Ratnalingham not at his best, the sniffed the outside possibility of making a game of it. Nevertheless, Ratnalingham (30 retired) guts it out and once Freddie Bourne-Arron survived a run out scare from his first ball, the result never looked in doubt. It was a disappointing end to the season but this doesn’t detract from the fact that both James Martin and Roy Chapman would like to thank all the players for their hard work throughout the campaign. 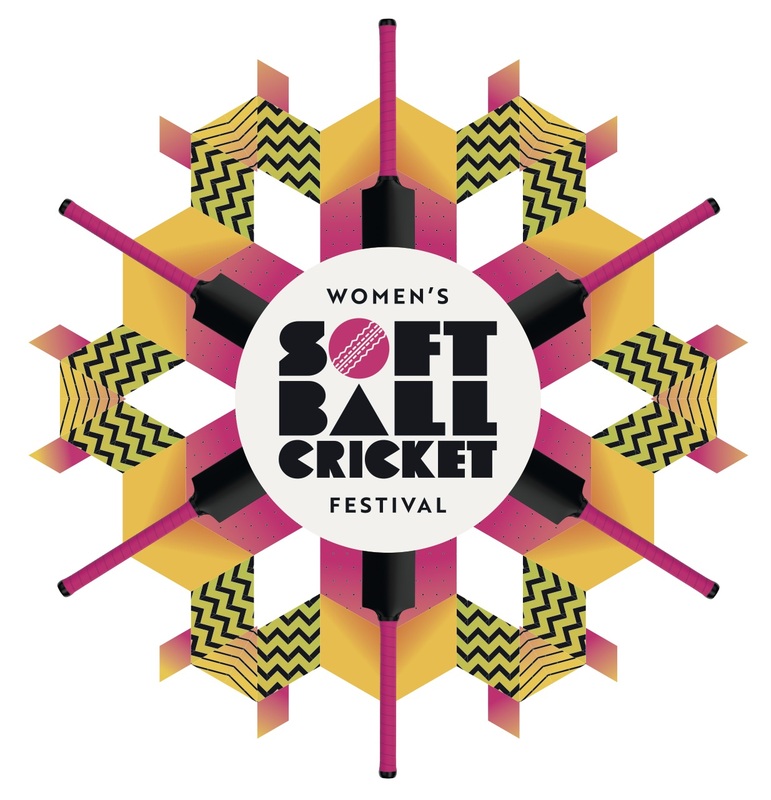 Moreover, both would like to extend that thanks to all parents, grandparents, umpires, tea ladies and scorers without such the games cannot take place.